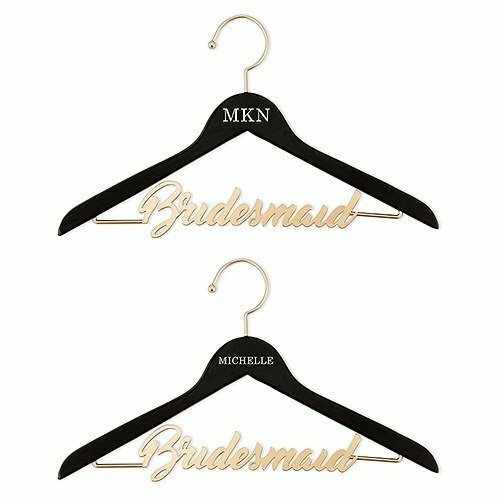 A personalized wooden wedding hanger for yourself and your bridesmaids ensures no detail is overlooked when getting ready for the big day. 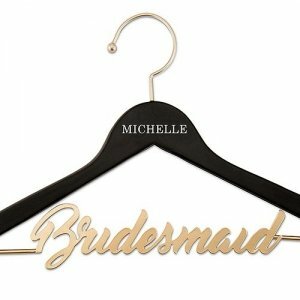 This sturdy wooden hanger features a beautiful black painted finish and metal "Bridesmaid" insert to feature your new status. Personalize your hanger to add an even more unique finish.